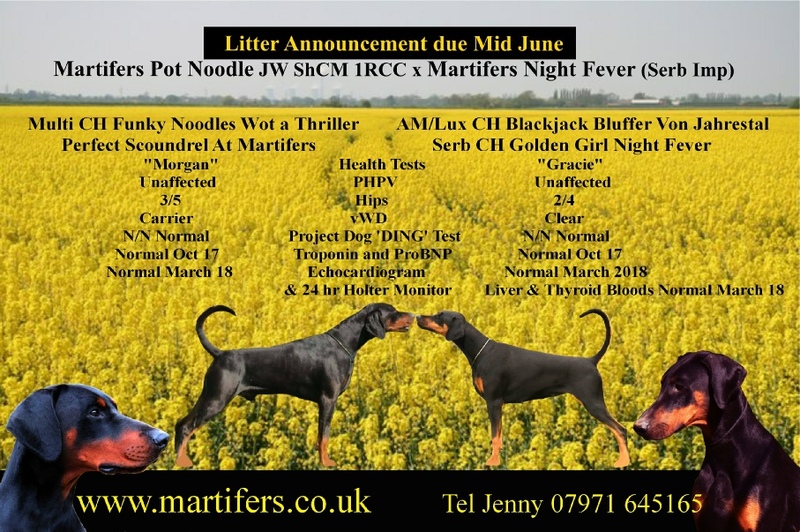 Jenny and Martin welcome you to ‘meet’ the Dobermanns in our lives . We have been ‘owned’ by our Dobes for over 30 years and through our wonderful boy, Jester (Martifers The Joker) were bitten by the showing bug! Our website shows previous and current Dobes, both in the show ring and playing at home. See our 2018 Litters page for pedigree, health tests and latest news.